Perfect gift for that gymnast in your life! 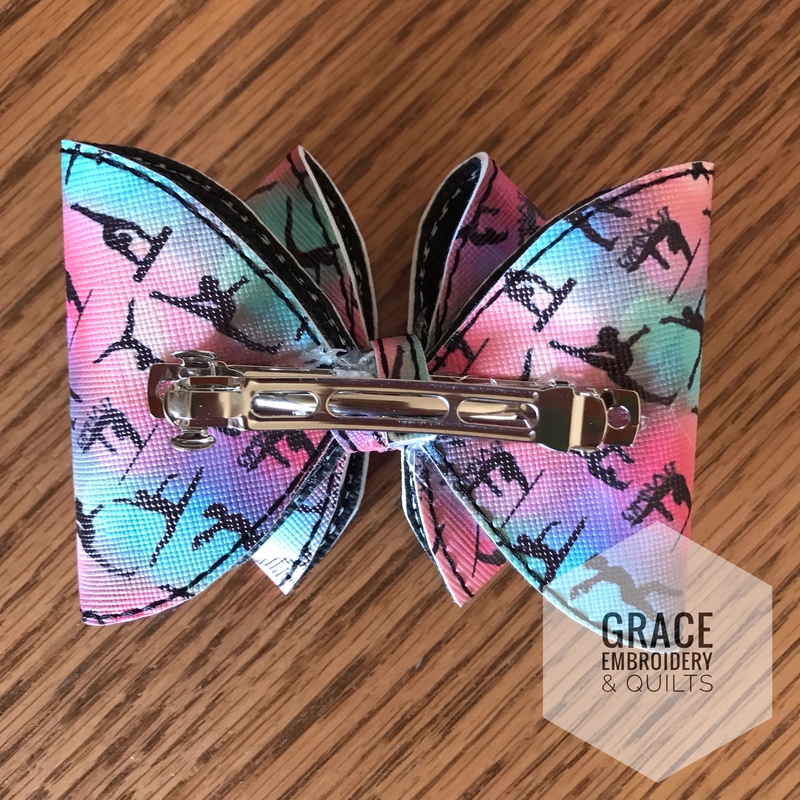 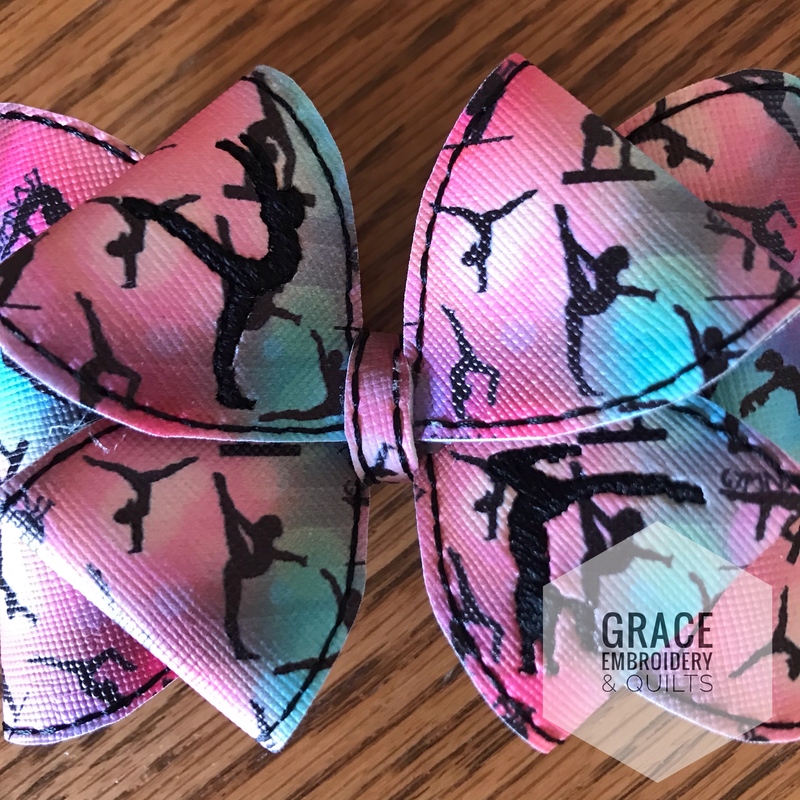 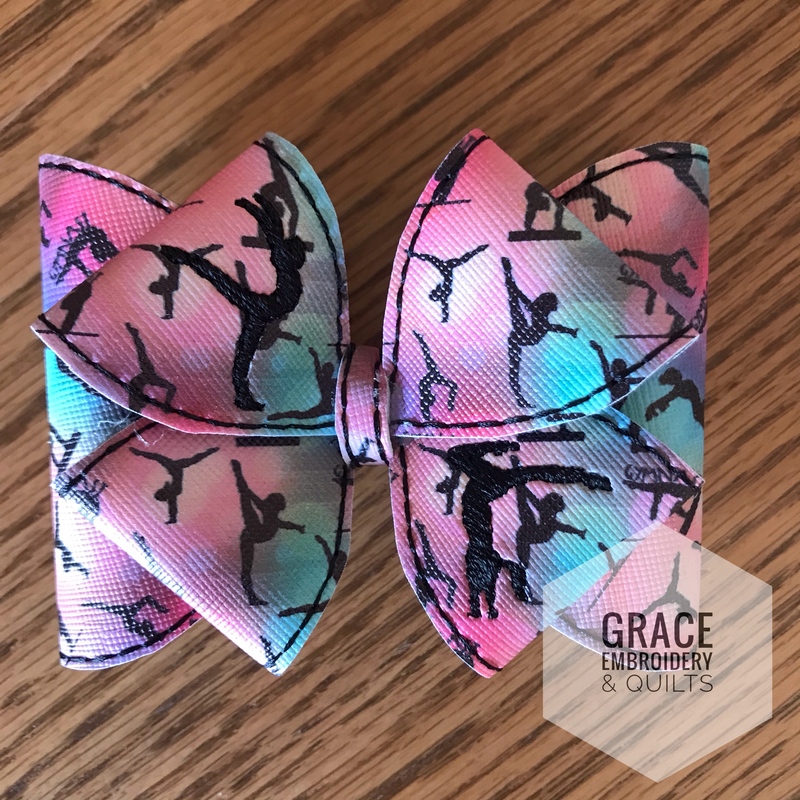 Bow comes made from gymnastics vinyl, if you’d like a different vinyl or color, please send me a message. 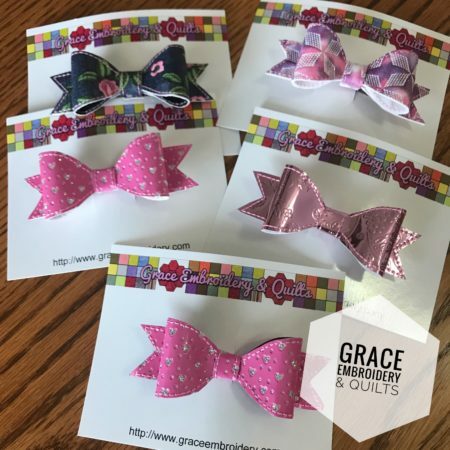 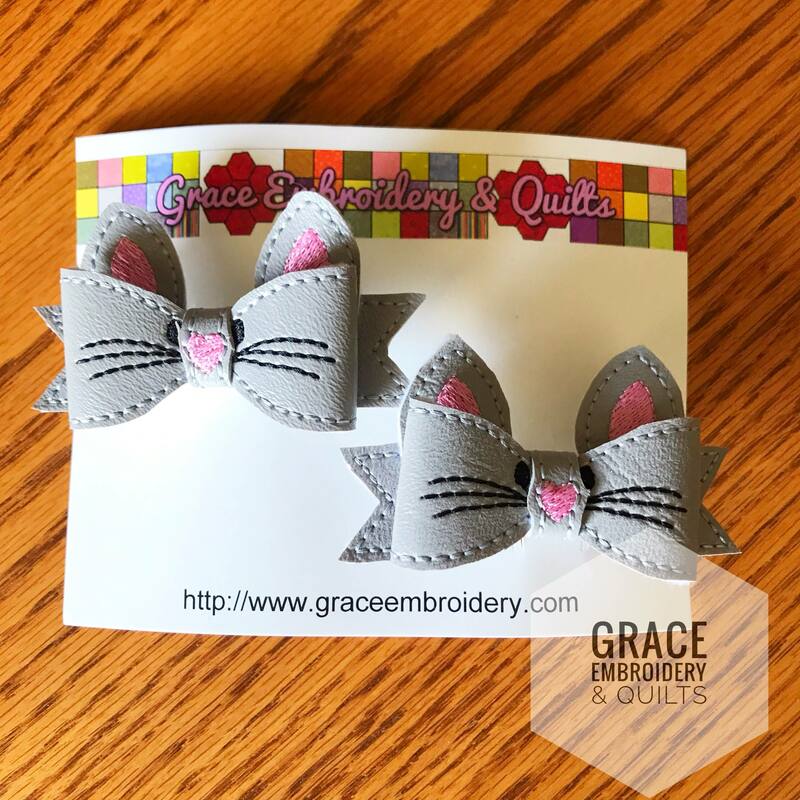 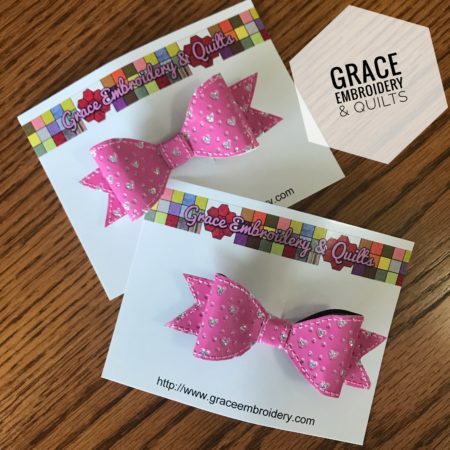 Bow measures 4″ x 3″ and the 2.75″ barrette is glued to the back.